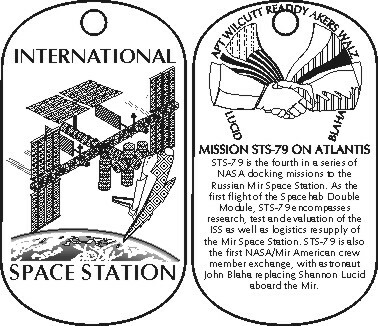 All dog tags are aircraft quality aluminum, 32 mils thick, with either a blank reverse for inscribing (we do not supply inscribing) or both front and back custom printed with durable epoxy. Each comes with a 30" nickel-plated steel ball chain attached. 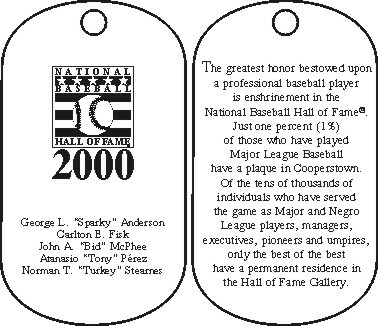 This page has examples of dog tags custom printed for some events and organizations. 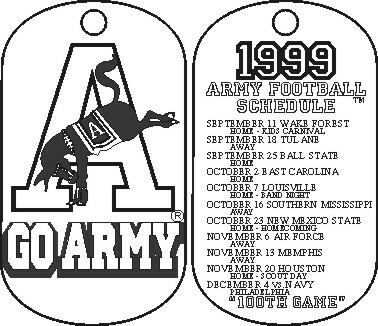 example: where all information can fit on one side or where back will become a mounting surface or where there is to be engraving or personalization. example: a group identification graphic is printed on the first side and a related message, schedule or list unique to that organization is printed on the other side. example: school name and year on front for minimum printing of 500 and lists of graduates on back - back divided into shorter runs of companies or specialties of graduates in minimum printings of 50. A and side 2 of C are subject to art and set-up charges of $25. This price schedule is for single color, type or line-art supplied in true-type or digital vector files only. Creation or conversion of art for printing is not available for this product category. 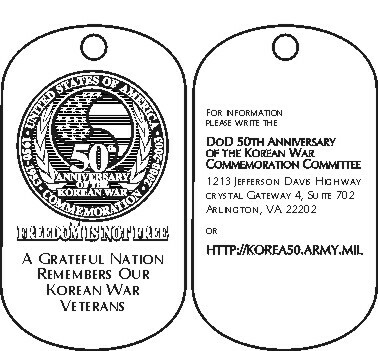 All tags are delivered individually packaged in a 2”x3” clear zip-loc bag and have 30” ball chains attached.